Pinot Noir is a black wine grape variety of the species Vitis vinifera. The name is derived from the French words for "pine" and"black" alluding to the grape variety's tightly clustered dark purple pine cone-shaped bunches of fruit. Our style of Pinot was cultivated similar to the origins of Burgundy Noir which is the original French version of this varietal, thus the results are a darker intense flavor. As the Pinot Noir grape is a smaller grape with less yield and in turn this makes Pinot Noir by description a more expensive grape to grow and produce, the winemakers has carefully selected the best yeast for the final preparation of the wine. The results are rich and complex to the palate, and we feel has truly captured what can be describes as an award winning Pinot. 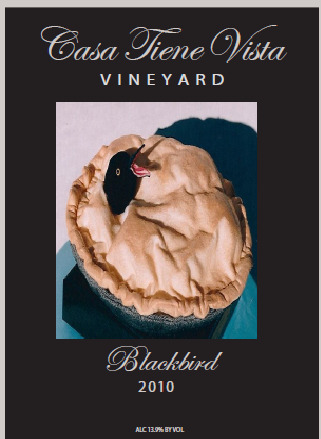 Blackbird is a full bodied wine rich in flavors of berry, plum and currant produced from the merlot grape. Great upfront nose with a peppery finish. This wine tends to have a black blue hue , with legs that go on forever. This wine has great finesse as well as potential for fine ageing. The name Merlot is thought to be derived from the old French word for young blackbird. Merlot, adiminutive of merle, the Blackbird (Turdus Merula), is reminiscent of the color of the grape. Aged in Oak this rich bodied wine is perfect with meats. Aged in Oak, this is a very rich bodied wine. Our Cabernet is well-balanced and has both a good start and an excellent smooth finish. It is a Cabernet that can age in a wine cellar for a decade. This wine is strong bodied and deep in purplish color. This is the type of Cabernet Sauvignon that any serious collector would want for their collection. This wine will lay in a cellar and only improve over time. Perfect with meats. A very popular, light and fruit forward wine, City Lights Pinot Noir pairs nicely with many foods, including seafood, pork and turkey. City Lights Cabernet is often referred to as an "everyday Cabernet" as it is so easy on the palate. 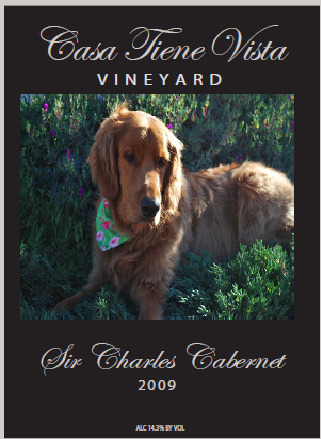 In the lighter, more fruit forward style of the other City Lights wines, this Cabernet is lighter in taste than the bigger bolder Sir Charles Cabernet. City Lights Cabernet pairs well with burgers, pastas and many cheeses. The third in our offering of red wines, City Lights Merlot is a nice light fruit forward wine with aromas of blackberry and a subtle hint of oak. Casa Tiene Vista's City Lights Chardonnay was first released in 2012 and has since won numerous awards in wine competitions. Being a non-oaked Chardonnay has made this an extremely popular wine, even with those that didn't think they liked Chardonnay! It has a buttery taste with a clean crisp taste. As with the other City Lights branded wines, City Lights Pinot Grigio is an easy to drink, clean crisp tasting wine with flavors of melon and mango. It pairs very nicely with seafood and spicy dishes. City Lights Sauvignon Blanc is a crisp, dry white wine with hints of tropical fruit. This wine pairs well with salads and lighter entrees.